Russian folk metallers Woodscream from Saint Petersburg have finished the recording of the first full-length album, entitled “Octastorium“. It will soon be mixed and hopefully it will be self-released by the end of May 2014. 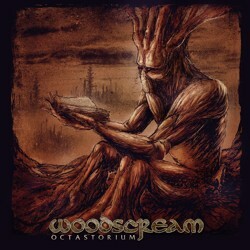 Woodscream were formed in the end of 2006 by Alexander Klimov and so far they have released 3 singles and the EP “Pentadrama” in 2010. “Octastorium” will sound more folk and at the same time more metal compared to the EP. Their songs are based even more on traditional tunes, while flutes and violins are much more dominant in their orchestrations now, combined with metal guitar riffs, lead female vocals and male growls. You will also listen to a few elements of thrash metal, melodic death metal and alternative music, so expect a rich and diverse album! Cover artwork and tracklist are already revealed. More news will follow soon, so you can check their official pages below.